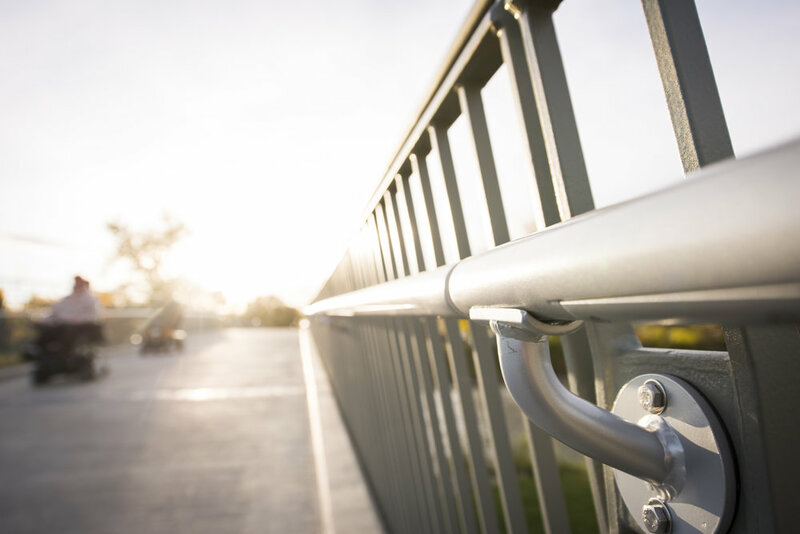 East Village’s smallest connector (just 65 metres long) is making a big difference. 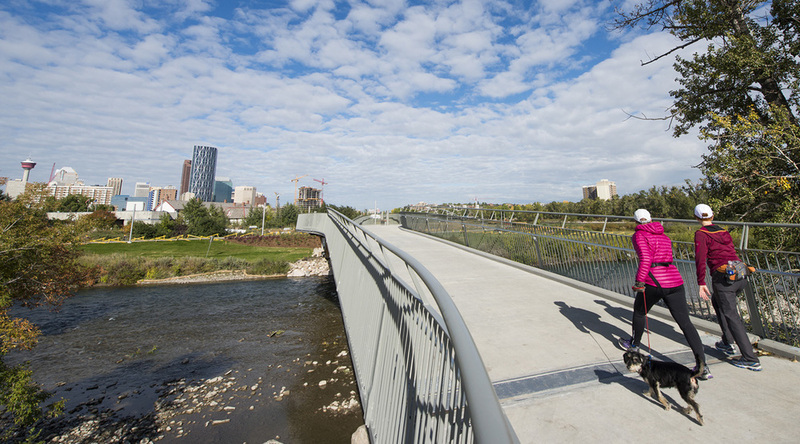 The simple and elegant Elbow River Traverse connects East Village with Inglewood and Ramsay, allowing a daily stream of cyclists, walkers and runners to safely cross the Elbow River, avoiding the busy Inglewood 9th Avenue Bridge. 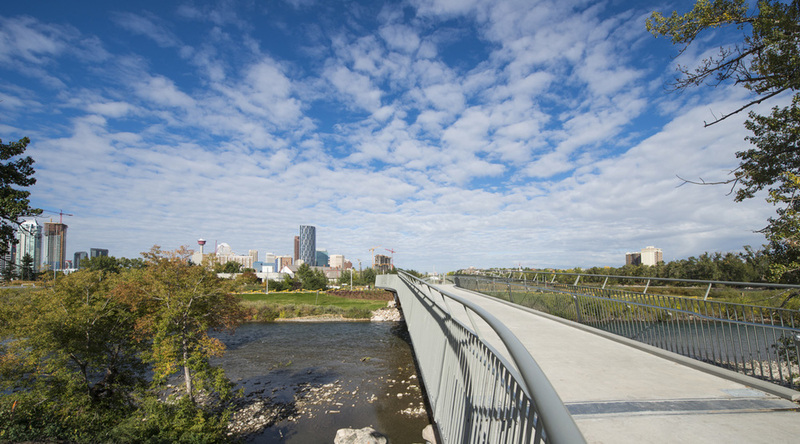 Those in no particular hurry can rest awhile midstream, where an outlook lets you reflect on the flowing waters below or contemplate the beauty of the Fort Calgary gardens on the west shore.